With Adobe InDesign I put together this ePub, in RGB colors, and a print version, in CMYK, for the Getty's Open Content images and some of my own photographs. 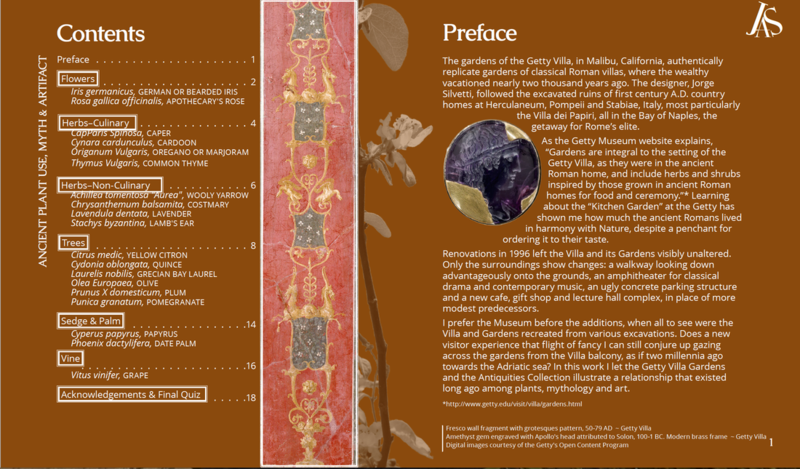 The finished product connects plants represented in the Getty Villa Culinary Garden with their varied uses in ancient Roman homes and also with artifacts produced and used in those times and displayed in the Villa's Museum. Further, this work relates both plants and artifacts to Classical Roman and other Mediterranean mythology. Below find some pages from the electronic version. Observe the iBook's Cover pages, above, introducing and illustrating the topic. 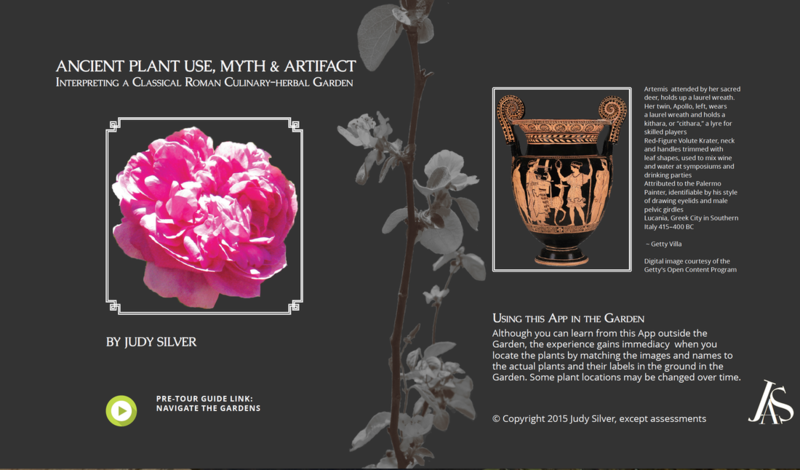 Notice the Button Link to a Prezi Introduction to the App's use while touring the Garden. Below find a Table of Contents, Preface and two Content Pages with formatting for additional information and formative assessment on the topic. 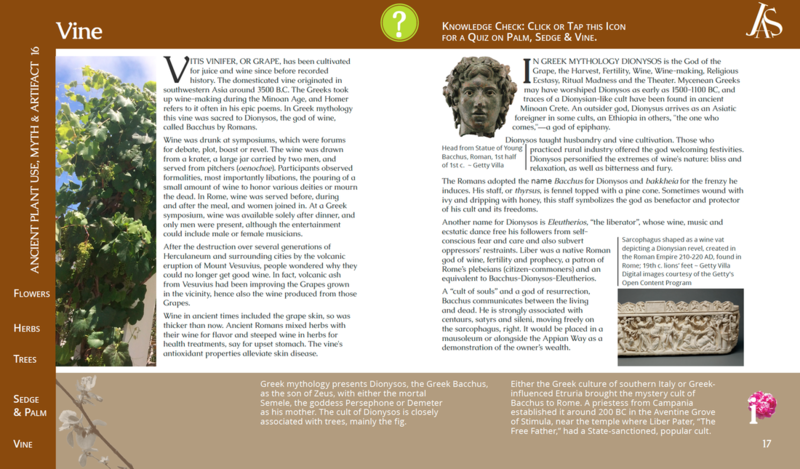 The Damask Rose and letter "i" in the bottom banner of a Content Page form an animated button that enlarges when the page opens and, when rolled-over, reveals additional information on the topic, here on the Greek god Dionysus, Bacchus to the Romans. A green disk with a question mark links to a "Knowledge Check", a scored quiz that serves to assess progress in learning for an iBook section, here on the Grape Vine and its associated god.